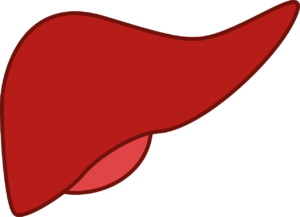 Your liver is probably the least of your worries when you’re thinking about the organs you want to keep healthy. Unfortunately, this casual approach to keeping your liver healthy can spell trouble for you, as every single thing you eat or drink passes through your liver. This even includes things you probably don’t think matter when it comes to keeping track of the things you ingest, such as your medications and vitamins. If you don’t take proper care of your liver, then it wouldn’t be able to properly perform its functions, which are all crucial to your well-being. For instance, your liver cleans and filters your blood by removing toxins from your body. It also creates a substance called “bile,” which helps your body effectively break down fat from the food you eat. What’s more, glucose or blood sugar is stored in the liver, which gives you a quick energy boost and keeps your body functioning at its optimum. Fortunately, it’s not really tricky to keep your liver healthy. Unfortunately, its very nature makes it harder than you think. How so? See, the key to keeping your liver healthy lies on your lifestyle. Diseases such as liver cancer are caused by chronic infection, such as exposure to hepatitis strains. Cirrhosis, or irreversible liver scarring, also contribute to liver cancer. Then there are a number of inherited liver diseases such as hemochromatosis and Wilson’s disease, as well as nonalcoholic fatty liver disease, or the accumulation of fat in the organ. Even exposure to mold poisons called aflatoxins can cause diseases, and this kind of toxin is rampant within Asia and Africa. Yet all these pale in comparison with the dangers of excessive alcohol consumption. If you drink more than the moderate amount of alcohol over the years, this can lead to cirrhosis which in turn puts you at a higher risk of liver cancer. Limit alcohol intake – Women are advised to just have a glass of alcohol per day, while men can have just two glasses per day. Anything above that can be harmful to your liver. Excessive alcohol intake can lead to fat deposits in your liver, as well as cause swelling or inflammation. Excessive alcohol intake is also associated with cirrhosis. Eat a healthy diet – Like most things in life, a balanced diet can greatly help in keeping your liver healthy. You’re welcome to eat food from all food groups, just make sure that you don’t eat too much fatty food. Likewise, plenty of fiber intake would also help promote liver health. Exercise regularly – Regular exercise can also keep liver diseases at bay. When you exercise, your body is able to burn fat more effectively so they are not stored in your liver. Manage your medications – There are countless medications (herbal medicine included) that can damage the liver if you are taking them for a prolonged period of time. To ensure that your medications do not put you at this risk, ask your doctor about the common side effects. The key to having a healthy liver is by having a healthy lifestyle. Don’t let how you live today dictate how you will live your life in the next few decades. Strive to be healthier today and make choices that you will be thankful for in the future.